A couple weeks ago we visited friends who’d just moved across country. Standing in their new rental home, surrounded by stacks of unpacked cardboard boxes, brought back so many memories. In our first nine years of marriage, we moved eight times, four with kids. No, we’re not military or government. Five of the moves were by choice – for grad school, jobs, to be closer to be family. But three were not. We were forced out of rentals by carbon monoxide poisoning, a building being flipped into condos when the economy was good in the mid-2000s, and a condo being foreclosed on after the economy crashed in 2008. Standing in our friends’ new rental brought back a flood of memories. The stress of packing. The anxiety of starting over in a new place. The decisions on what to put where, and whether we should even unpack some of the boxes, knowing we were likely to move again. The fumbling for weeks to figure out basic things like light switches. The having to think – really think – about how to get to the grocery story, coffee shop, work. Things that six months or a year into living somewhere, you do on autopilot and take for granted. By the third or fourth move, we had our process down pat. 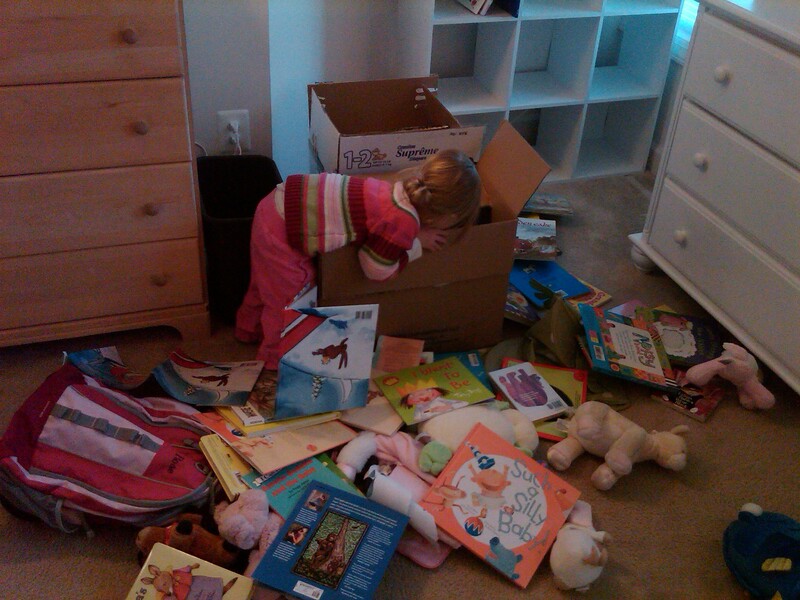 We shed material stuff aggressively – separating things into keep, toss, and donate piles. We no longer had to think about which valuables we took in our car and which we put in a moving van. We learned to unpack in record time, then flattened and stored our cardboard moving boxes and packing paper so we could re-use them. We kept a checklist of required address changes – post office, bank, credit cards, subscriptions, etc… – and plowed through them the first few weeks in a new place. Because we really value knowing the people we live near, we knocked on neighbors’ doors to introduce ourselves, and brought them cookies for the holidays. We made an uneasy peace with the fact that it took us a year to feel comfortable in a new city, and two to three to feel comfortably part of a new community. The last time we moved was three years ago, when we bought our first home together. And this summer, for the first time in years, we feel comfortably part of our local community. We don’t just recognize people at the pool, our synagogue, or local restaurants – we plan to meet them there (what a concept!). We’ve spent much of the summer enjoying lazy afternoons in neighbors’ backyards or entertaining neighbors in ours, our kids running wild with a pack of neighborhood kids. It’s been really nice. For the first time in a very long time, we live somewhere that feels like home. Have you moved recently….or often? What are your tips for settling in? Welcome Home, D&B! 3 years seems like a long time, but until 2 months ago I had only moved 2 times in 18 years, so I have very little experience with moving! So far in our new area, I feel like I haven’t even started to settle in given that I’ve been travelling a ton and we are renting at this point. That being said, I find that I am “settling in vicariously” through my 3 kids as much as possible: when I see them thriving or happy or excited, I feel good about our move; when I see frustration or acting out, it’s a reminder that moving is tough emotionally and does take time to fully adjust. Time is the key, as you seem to say above, and effort. Writing this response is a good reminder to take time for myself to “settle in” as well.